Bicycling is arguably more popular than ever before. The National Highway Traffic Safety Administration (NHTSA) has reported that an increasing number of Americans are regularly using their bikes. Whether you are running errands, getting exercise, commuting, or just enjoying the ride, riding a bike is an enjoyable way to get from A to B. However, navigating the roads on a bike also poses safety risks. Cyclists do not have the same protection that vehicle occupants do. Because of this, cyclists are liable to suffer serious injuries if they are involved in a crash. Bicyclist fatalities in California are about twice as common in the state as the national average. California is a leading state in bicyclist deaths per person. Recent years in California have seen a steady increase in the number of fatality accidents between vehicles and bicycles. Driving while texting or distracted. Failing to check for bicyclists before turning or changing lanes. Opening doors in front of cyclists. Failing to properly stop at red lights or stop signs. Driving while under the influence of mind-altering substances. Watch YouTube Video: Biking Safely - Safe Cycling Tips for Adults. The below video from AAA includes valuable tips for making sure you stay safe while biking on California roads. After suffering injuries in a cycling accident, taking legal action as soon as you can is crucial. The sooner that a lawyer can begin collecting evidence and working on your case, the more effectively they can ensure that you are provided with the recompense you deserve. Often, liable parties will try to investigate an accident themselves and obscure significant evidence. Having an attorney on your side right away can prevent this from happening. Many people aren’t sure whether or not they need a lawyer for their case. It’s true that not every case requires an attorney. However, it is always a good idea to contact an experienced Chico bicycle accident lawyer to know what your next steps should be. Most lawyers will give you a free phone consultation where you can learn the information you need to know to begin the process of claiming damages. If you would like to speak with me about the details of your case, I would be happy to talk with you about your options. You can get in touch with me at my local phone number (530) 392-9400. Loss of income, wages, and/or earning potential. Repairs to damaged property including your bicycle. Medical expenses such as surgery, medication, physical therapy, ambulance fees, and more. The injuries were caused by the defendant. These requirements essentially mean that the evidence needs to favor you slightly for you to obtain compensation. This is another good example of why having the help of an experienced and competent Chico bicycle accident attorney is vital to claim damages. A skilled lawyer will be able to convince courts to award you the full amount of repayment that you deserve. While the majority of cases do not go to trial, it is important to have a strong argument prepared in case a settlement can’t be reached. I’m Ed Smith, a Chico bicycle accident lawyer. 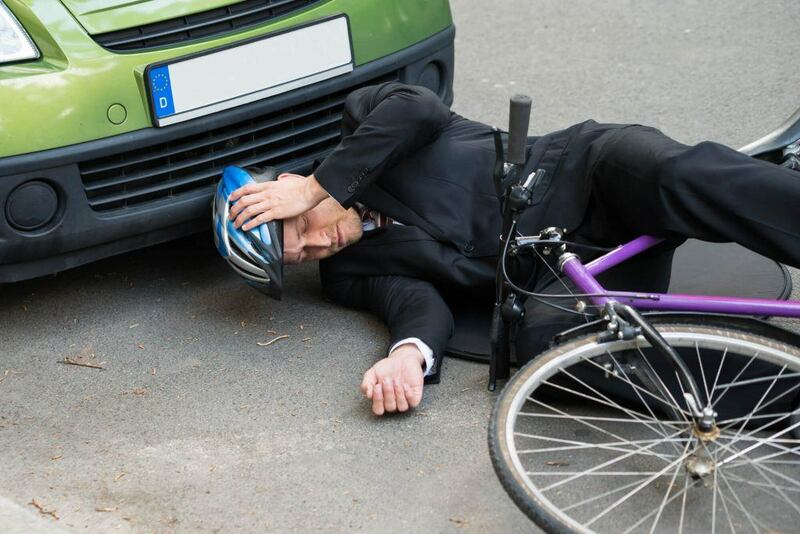 Bicycle accidents can often involve severe injuries. If a bicycle collision hurt you or someone important to you, please call me so I can provide you with free, friendly case advice. I am available at both my toll-free and local number (800) 404-5400 or (530) 392-9400. My firm has represented people from Chico since 1982. We’ve helped many people recover fair payment for personal injury and wrongful death damages. I’m part of the Million Dollar Advocates Forum, a lawyers’ group for attorneys who have obtained more than $1,000,000 for a client through a verdict or settlement. I’m also in a group for distinguished US lawyers, Top One Percent.